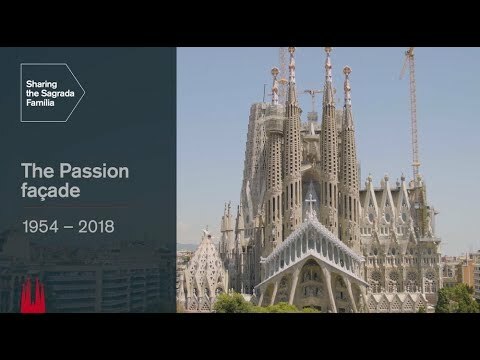 Despite the differences in the diameter, height and number of sides on each of the six central towers on the Sagrada Família, the system of dividing the construction into stone panels is the same. On all of them, the triangular windows overlap the level above and there are always three windows per level. However, there are two different types of panels that alternate: those that look like a letter W, because they have the window in the middle with the point facing up, and the others look like an M, with the window tip facing down. A building’s wind resistance at height is a very important issue. For the central lanterns, which range in height from 135 to 172.5 metres, this meant looking for mechanisms that would make them strong and stable. It was important, however, that they still be stone, keeping with the texture and expressiveness established from the beginning of the works. Nevertheless, it was impossible to use stone on its own, as the walls would have to be very thick, too heavy for the light trees and branches that have already been built below. So, the idea was to make stone walls with a reasonable thickness and steel cables running through them that, when tensioned, would give the whole structure the stability it needs. After coming up with the system of tensioned stone panels, we decided to do a trial run with a test panel of eight rows of stone and mortar with tensioned cables running through to compress them into a single block. We put the panel with either end resting on a beam and got everyone working on the project to climb on top, trying to simulate the perpendicular force of the wind on the panel. In total, roughly fifteen people got on the panel, weighing more than one tonne… and it worked: the panel held! However, more tests were needed. First, we made a prototype of the smallest panels, those for the towers of the Evangelists, with one layer on top of another. 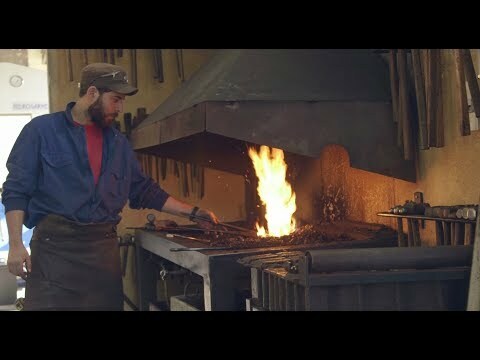 This trial allowed us to test the whole process of manufacturing the panels, from tensioning the bars and the use of resins to the installations and putting in the windows. Then we did another trial with one of the largest panels for the tower of Jesus Christ, which also served to test other things like, for example, breaking up the coloured ceramic tiles on the inside of the tower that express the symbolic content of the creation of the universe. The panels are smaller on the towers of the Evangelists because they start off at just 7.5 metres in diameter. Divided by 8 panels per level, this gives us 3.04 x 3.56 metres for the largest ones, at the base, and 1.54 x 1.62 for the smallest ones, at the very top, where the diameter gets smaller. 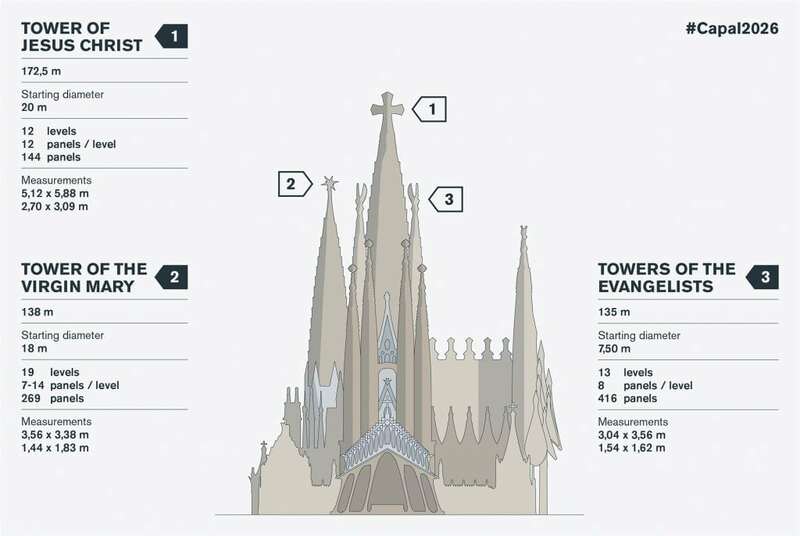 Taking into account that the towers of the Evangelists have 13 levels, to build all four we will need a total of 416 pre-assembled panels. 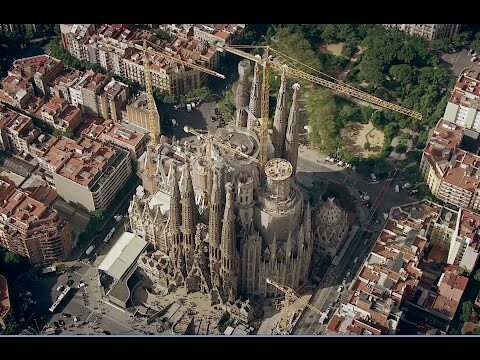 The only exception are the eight panels with the doors to the bridges that connect the towers of the Evangelists to the tower of Jesus Christ, which must be made on site. The panels for the tower of the Virgin Mary are similar in size to those for the towers of the Evangelists. Although the base diameter is much bigger, roughly 18 metres, as it is divided into 14 modules, the largest ones, on the bottom, are 3.56 x 3.38 metres and the smallest ones, at the top, are 1.44 x 1.83 metres. The tower of the Virgin Mary is 19 levels tall, but it starts on top of the apse vaults, 60 metres above street level. As these are inclined, the first levels don’t have a full circle of panels. 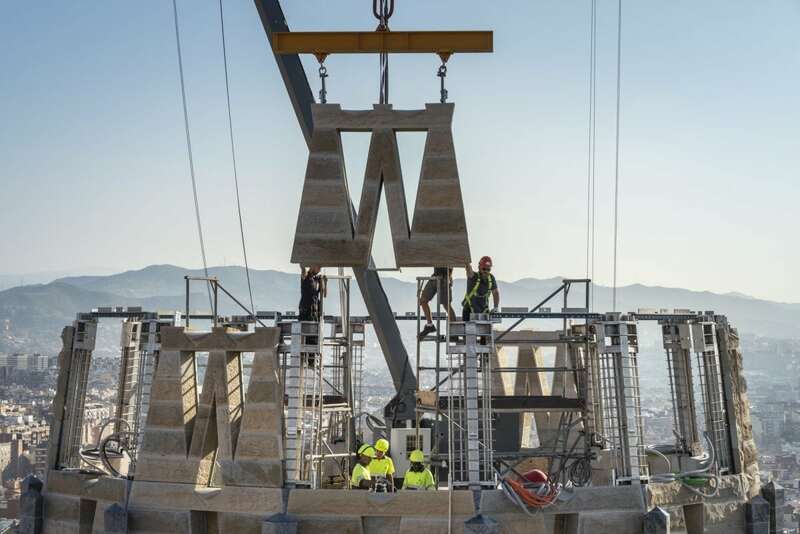 To build the tower of the Virgin Mary, we will need a total of 269 panels, 15 made on site. However, the largest panels are clearly those for the tower of Jesus Christ. This tower starts off with a diameter of roughly 20 metres and is divided into only 12 modules, for panels that range from 5.12 x 5.88 metres at the bottom to 2.70 x 3.09 metres at the very top. With its 12 levels, this tower will have a total of 144 panels, 4 of which will be made on site with the doors to the bridges. With these measurements, we can say that the panels on the tower of Jesus Christ are truly enormous. The largest ones on the bottom level weigh more than 24 tonnes, which is the most our powerful central crane can lift. In these special cases, the panels have to be divided into two subpanels so they can be hoisted up to their spot separately. 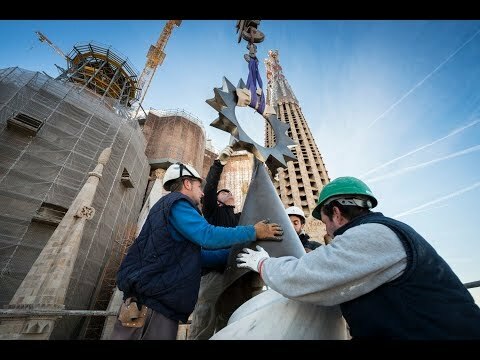 To see them at the Temple, we’ll have to wait until the end of the year, when work is expected to begin on the tallest tower on the Sagrada Família.